It can be seen that India doesn’t want to miss the 5G bus as it happened with 2G and 3G. But are we prepared for the 5G revolution that is taking over the entire globe? Or should we first lay down the infrastructure, in order to support the highly anticipated 5G rollout? We cannot deny that for the Indian Market, 4G was in the front seat. Extensive 4G network expansion undertaken by the telecom operators led to the remarkable growth of the mobile internet subscribers and consumption. This, coupled with a significant drop in the prices of smartphone and the intense tariff war between telcos, fuelled the mobile broadband market in the country. Tilak Raj Dua, TAIPA, Manish Vyas, Tech Mahindra and Kundan Das, Parallel Wireless give their views on the 5G Roadmap Indian Telecom Operators need to have for the 2020 rollout. According to Tilak Raj Dua, Director General, TAIPA, it is understood that 5G services will bring socio-economic enhancements across the globe by touching various spectrum of human lives. As far as the roadmap for the development of ecosystem is concerned, there are various elements synergised together which will make it possible i.e. adequate spectrum allocation, devices availability, ready application layer and at the end, the most important element above all is the readiness of robust telecom infrastructure ecosystem. Now, looking at the current telecom infrastructure status landscape, Mr Dua believes that in order to make 5G a success story, it is significant to develop ‘state of the art’ advanced robust network architecture. This can be done, he says, by addressing the challenges such assist acquisition, availability of Right of Way at the state level, availability of electric grid at preferential tariffs, single window clearance availability, multiple fee levies, policy restrictions on the availability of tower sites and coercive actions such as sealing of tower sites. Furthermore, he asserts that a robust infrastructure is the foundation for extending any kind of service irrespective of any particular technology. Keeping priority at physical infrastructure and simultaneous work on developing other layers such as software, technology and devices will have to be worked upon rigorously. Manish Vyas, President, Communications, Media & Entertainment Business, and the CEO, Network Services, Tech Mahindra believes that the roadmap to 5G starts with introducing SDN (Software-Defined Networking) /NFV (Network Functions Virtualization) in 4G LTE (Long-Term Evolution). Telcos need to transform their OSS (Operations Support Systems) stacks and start introducing Orchestration layer. 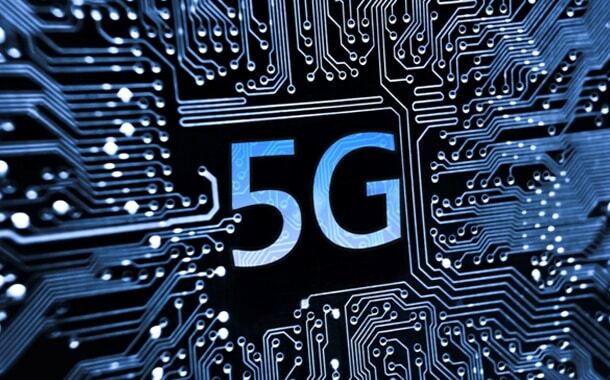 This will enable Telcos to lay a strong foundation for 5G. Agile Network-as-a-Platform will be the key building block for an agile business. The work towards 5G has to start now with SDN/NFV led Network Transformation. According to Kundan Das, Head – Business Development and Sales APJC, Parallel Wireless, there should be the selection of the right spectrum, one which largely supports ecosystem of devices, the applications which are going to be well tailored for enterprises, the deployment with respect to coverage capacity-latency which are the key things for 5G. Then it is going to be more to do with, security. Because traditionally till date, an operator used to have a consumer who was not that much aware of the security. For example, whatever security-related data the user has passed on is going to be between the OTTPR and user. But in an enterprise, if the user doesn’t have the right security support by the network, then the enterprise is going to have a lot of questions. The security audit security framework is going to be a critical component that needs to be fixed at the beginning. The Roadmap Indian Telcos Need for The 5G Rollout 0 out of 5 based on 0 ratings. 0 user reviews.